VANCOUVER - The Real Estate Board of Greater Vancouver says market conditions in the city are changing as sales in April fell to a 17-year low for the month. The board says 2,579 detached properties, townhouses and condominiums sold last month in Metro Vancouver, down 27.4 per cent from April 2017 and 22.5 per cent below the 10-year average for the month. 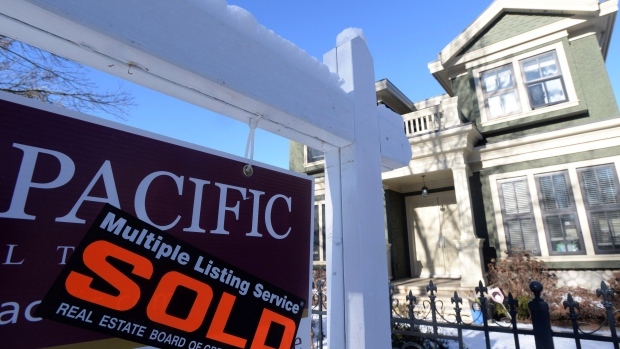 About 18.6 per cent more properties were newly listed last month than in April last year, giving buyers more selection. Still, prices moved up with the composite benchmark price for all properties at $1,092,000 -- up 14.3 per cent from the same month last year and 0.7 per cent from March 2018. Detached houses saw the smallest price gains, with the benchmark price at $1,605,800 -- up 5.1 per cent from April 2017 and down 0.2 per cent from March 2018. The benchmark price for an apartment rose 23.7 per cent from the same time last year to $701,000, while the townhouse benchmark rose 17.7 per cent to $854,200.